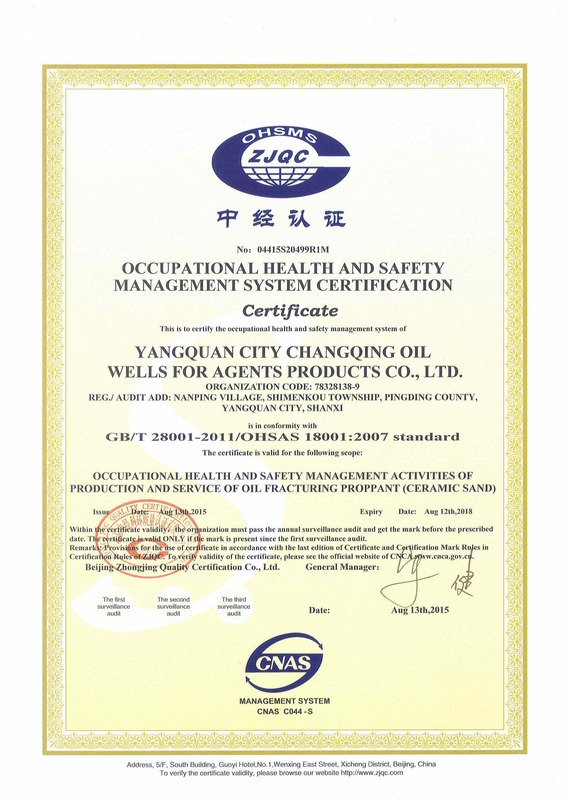 OIL WELLS FOR AGENTS PRODUCTS CO., LTD. Remark: Provisions for the use of certificate in accordance with the last edition of Certificate and Certification Mark Rules in Certification Rules of ZJQC. 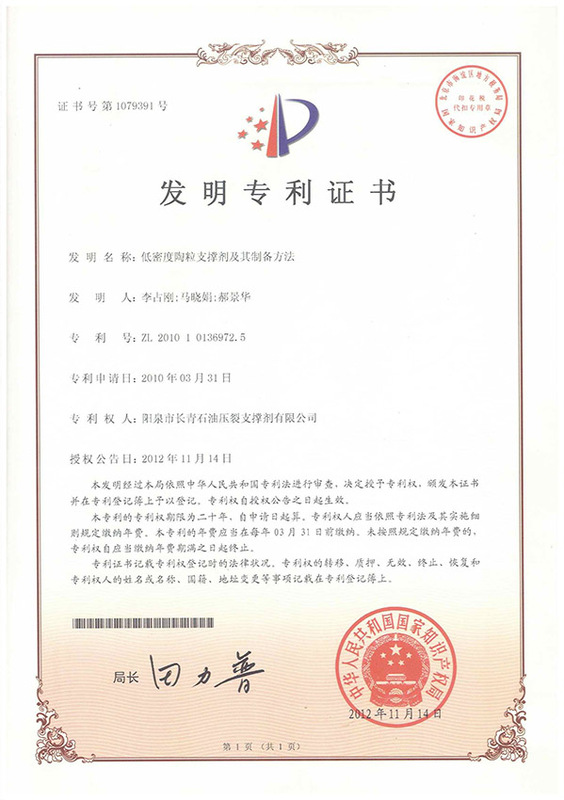 To verity validity of the certificate, please see the official website of CNCA www.cnca.gov.cn. 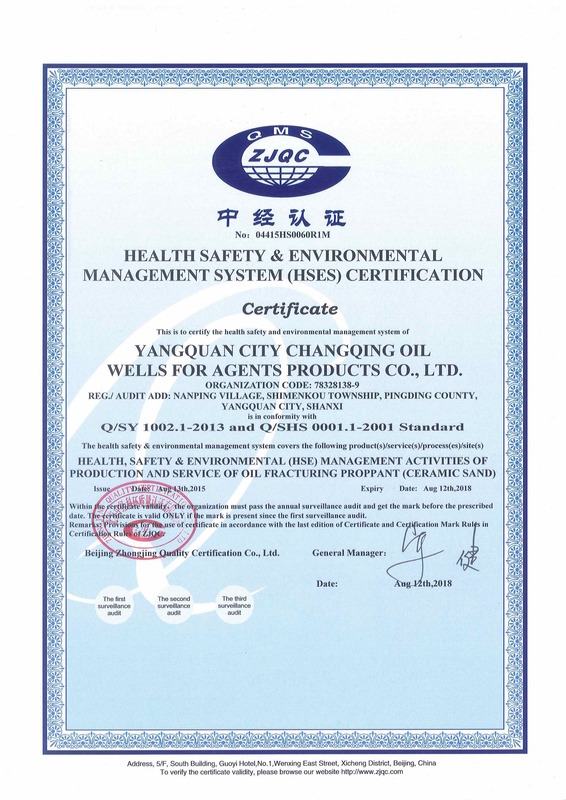 Beijing Zhongjing Quality Certification Co., Ltd.
Patentee: YANGQUAN CITY CHANGQING OIL WELLS FOR AGENTS PRODUCTS CO., LTD.
After preliminary examination of this utility model in accordance with the Patent Law of the People’s Republic of China, this department has decided to grant a patent and issue a certificate to the design, and register the same in the patent rolls. 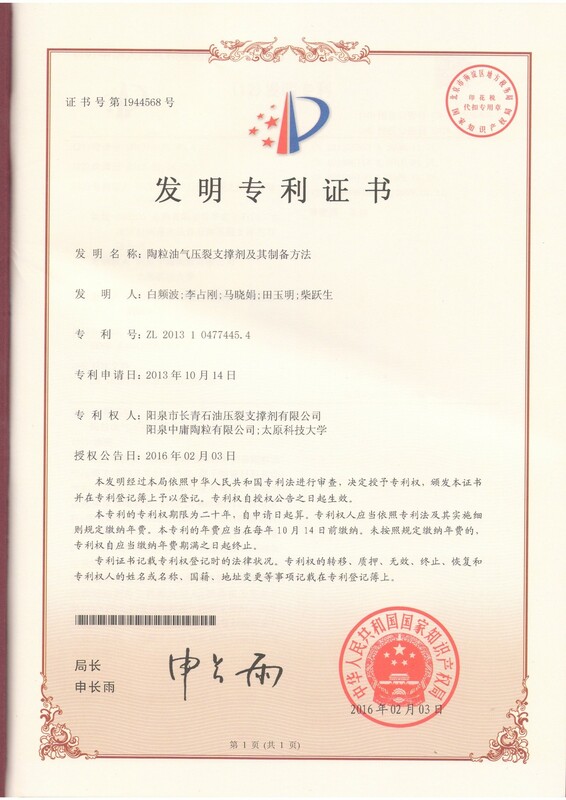 The patent rights shall commence from the date of notice of authorization. 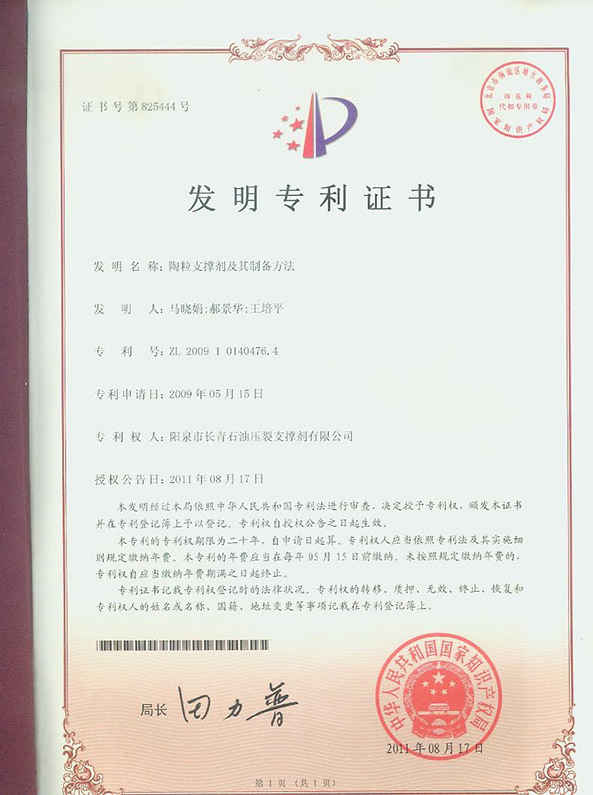 The duration of protection for this patent is twenty years from the date of patent application. The patent holder shall remit annual fees in compliance with the stipulated implementing regulations of the patent laws. The patent annuity shall be submitted before 15th of May every year. Failure to do so shall result in the termination of the patent rights after the expiry of the payment period. The circumstances of law on the letter of patent at the time of registration, the transfer, mortgage, invalidation, cessation, resumption and the changes of the patent holder’s name, nationality and address, etc. shall be recorded in the patent rolls. 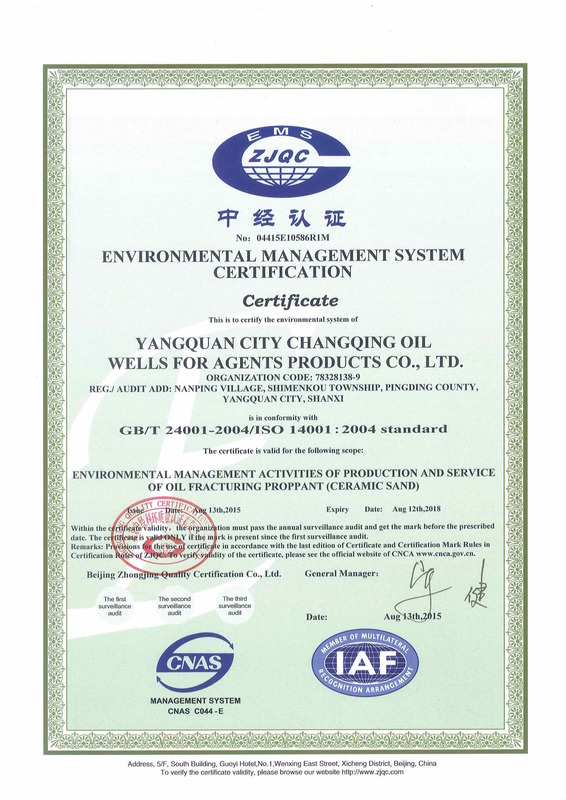 YANGQUAN CITY CHANGQING OIL WELLS FOR AGENTS PRODUCTS CO., LTD.
YANGQUAN ZHONGYONG CERAMIC PROPPANT CO., LTD. 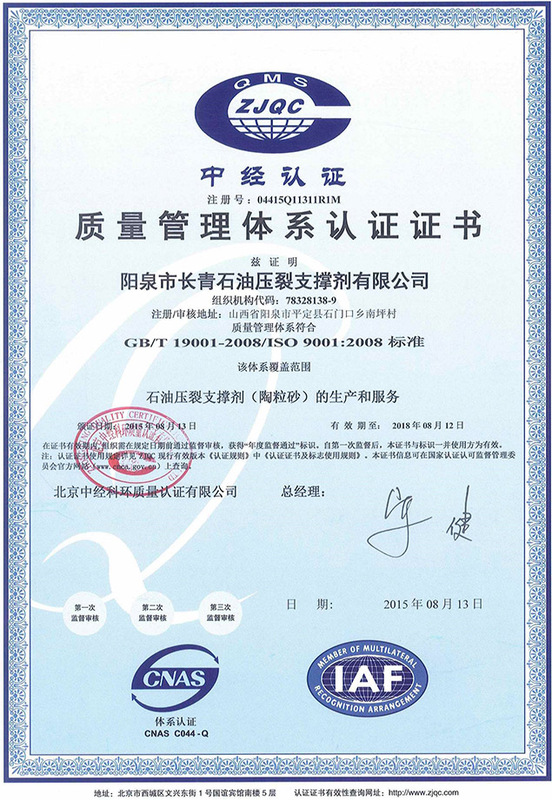 The duration of protection for this patent is twenty years from the date of patent application. The patent holder shall remit annual fees in compliance with the stipulated implementing regulations of the patent laws. The patent annuity shall be submitted before 14th of October every year. Failure to do so shall result in the termination of the patent rights after the expiry of the payment period. The duration of protection for this patent is twenty years from the date of patent application. The patent holder shall remit annual fees in compliance with the stipulated implementing regulations of the patent laws. The patent annuity shall be submitted before 31th of March every year. Failure to do so shall result in the termination of the patent rights after the expiry of the payment period. 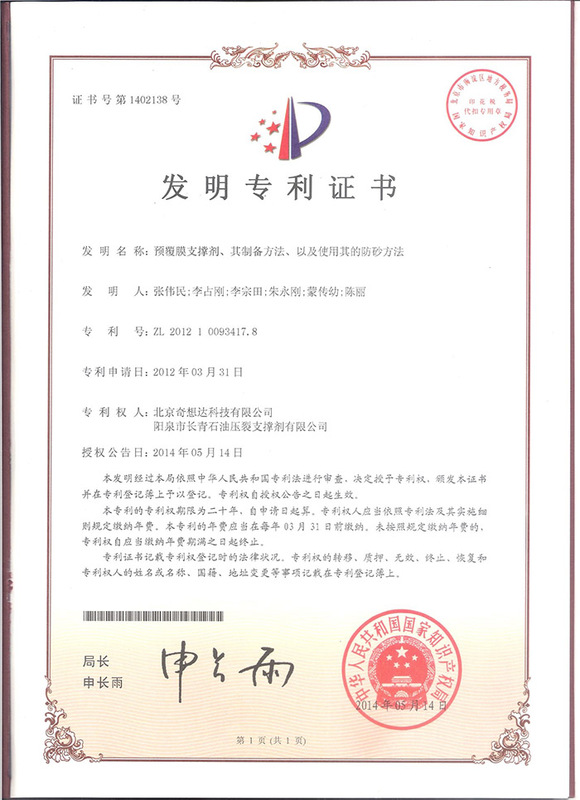 Patentee: BEIJING QIXIANGDA TECHNOLOGY CO., LTD. 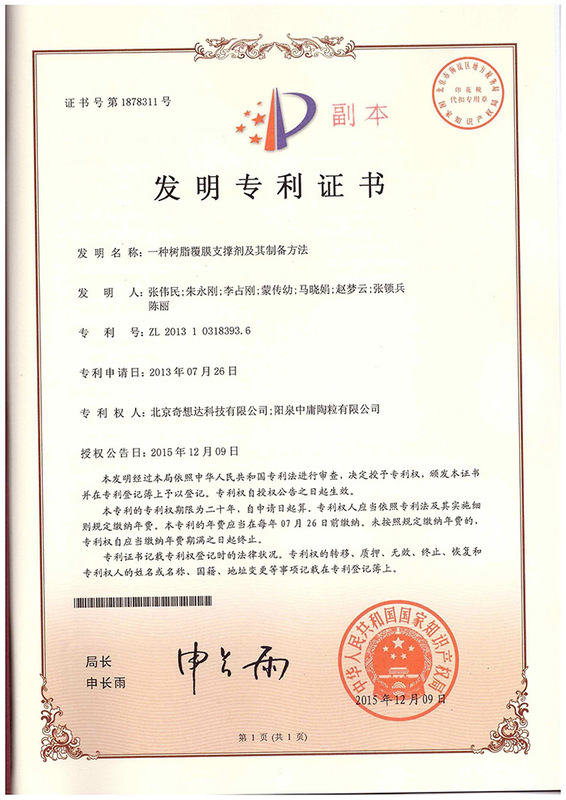 The duration of protection for this patent is twenty years from the date of patent application. The patent holder shall remit annual fees in compliance with the stipulated implementing regulations of the patent laws. The patent annuity shall be submitted before 26th of July every year. Failure to do so shall result in the termination of the patent rights after the expiry of the payment period. 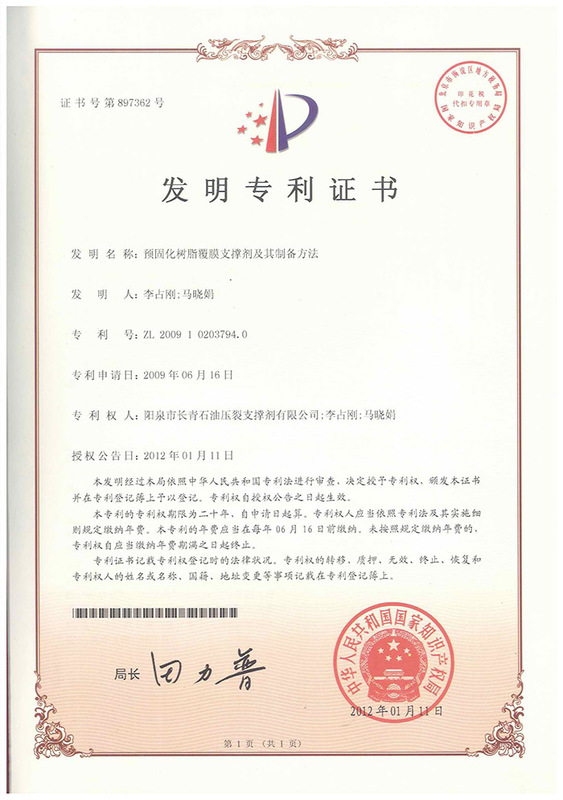 The duration of protection for this patent is twenty years from the date of patent application. The patent holder shall remit annual fees in compliance with the stipulated implementing regulations of the patent laws. The patent annuity shall be submitted before 16th of June every year. Failure to do so shall result in the termination of the patent rights after the expiry of the payment period.